If you have seen our 5 Ways to Play and Learn with Easter Eggs post, you know that I think they are great learning tools. There are so many ways to use them for art, crafts and fun learning activities. 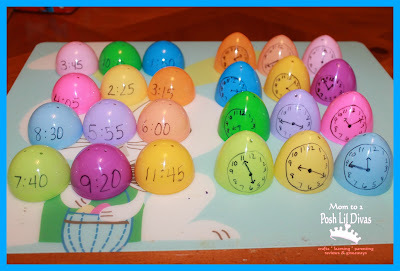 The Oldest Diva has been learning to tell time so I knew I had to dig in to my plastic egg stash and make a quick game for her that would help her with practicing telling time. Prep was fairly easy. I drew a clock with a target time on one half on an egg. Then I wrote the corresponding digital time on another half. To make this a bit trickier for her (she is in first grade & can handle it) - I mixed up the colors so that they did not match. You can have them match depending on the degree of difficulty you want to provide. To play, I set up the clocks on one side and the digital times on the other side. The Oldest Diva had to match the clocks to their corresponding digital times. 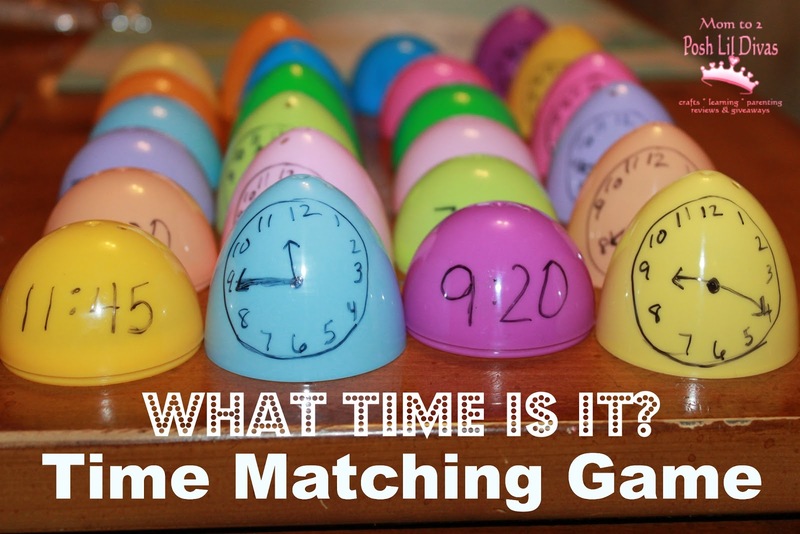 It was a simple, fast & fun way to review telling time. Looking for more fun ways to play and learn with plastic eggs? 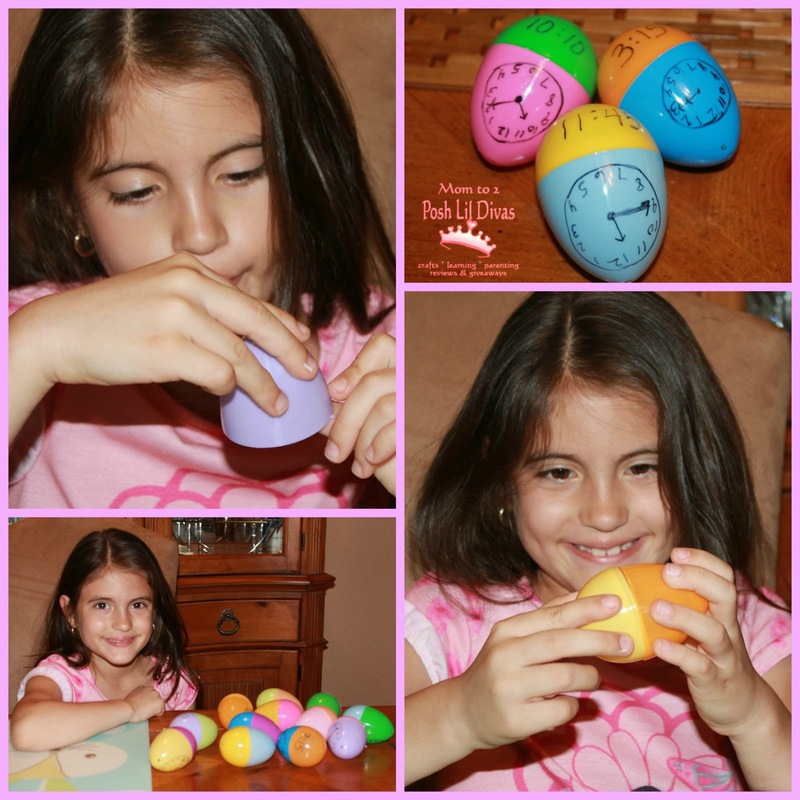 Be sure to check out 5 Fun Ways to Learn & Play with Plastic Eggs. Easter eggs to teach time. I love it! This is one of the most difficult concepts to teach students. What a fun way to learn! I've seen a lot of Easter egg games - but this is the first time I've seen this one. You definitely have the gift of thinking of creative new play ideas. It always impresses me! Made these for my grandson, he will love them. 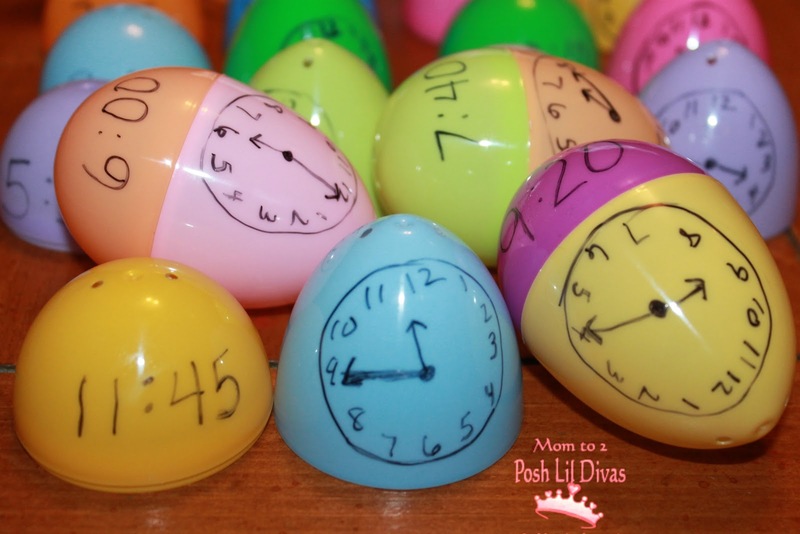 This is such a great way to reuse old Easter eggs! What a wonderful way to review time. I am pinning this post onto my Early Learning- Math board. Hi, where can I get hold of some of these plastic eggs. Love this idea for my daughter. What a great idea! Good use of things many of us already have at home to make a fun game. We'll be trying this when we're ready!